White Beach mushrooms produced by Hokto Kinoko’s plant in San Marcos, California. Image courtesy of DryPot. The San Marcos facility produces four varieties of mushrooms. The annual production capacity of the San Marcos facility is six million pounds of mushrooms. Hokto Kinoko’s state-of-the-art mushroom facility is located in San Marcos, California, US. The 262,000ft² facility was opened in 2009. It produces nearly six million pounds of mushrooms annually. The San Marcos mushroom facility is a farm-in-a-box and can be implemented in any location and environment. It is the first such facility in the US and very unique, being independent of weather conditions, labour costs and other factors. The mushrooms are grown organically and processed using machines. "The facility produces nearly six million pounds of mushrooms annually." 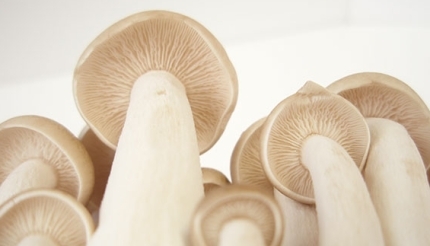 Hokto is a subsidiary of Japan’s leading mushroom producer, Hokuto Corporation. Hokuto established the subsidiary in 2006 to build the mushroom plant, which is its largest outside Asia. The mushrooms are marketed by another subsidiary called Kinoko Corporation under the Golden Gourmet and Hokto brands. Hokto targets its products towards Asians in North America. Its business has seen a steady growth in demand of 20% to 30% since 2009. By locating its business closer to the market, it is able to deliver fresh produce and reduce its carbon footprint. The plant initially employed 30 workers and currently employs over 120 workers. The site of the mushroom plant was earlier occupied by a plant that ceased production in 2006. Hokuto bought the site and spent nearly $35m on demolishing the old plant. The demolition was completed in 2007. The new mushroom plant consists of two floors and is three times larger than the old plant. Hokuto spent nearly $20m on installing new equipment at the facility. "The plant is fully automated with harvesting, palletising and shelving carried out by robots." The plant is fully automated with harvesting, palletising and shelving carried out by robots. The mushroom production rooms are completely sterile and hygienic. The plant is highly energy-efficient due to the use of variable-speed controls, energy recovery ventilators, chilled-water pumps, and additional building insulation. It features an advanced ventilation system which supplies temperature and moisture-regulated air required to grow the mushrooms. The San Marcos facility produces four varieties of mushrooms – white beach, brown beech, king trumpet, and maitake. Production of mushrooms requires the right balance of light, temperature and humidity. The mushrooms reproduce through tiny spores, making them vulnerable to contamination. The workers at the plant are, therefore, required to wear masks, head coverings and protective gear in some of the rooms. Kanes Foods, one of the largest salad processors in the UK, opened its new environmentally sustainable salad factory in July 2012. While conventional mushroom plants use manure to grow mushrooms, the San Marcos plant uses a mixture of corn, soy and other ingredients. This mixture serves as the soil in which the mushrooms grow. These ingredients are sustainable and can be reused. The ingredients are transferred from the storage area on the second floor to the first floor through a chute. On the first floor, a machine mixes these ingredients and places them in bottles. This mixture is then sterilised in a 240° oven for four hours. The next stage is carried out in a sterile room. A robot is used to insert mycelium into this mixture. The robot makes a hole in the centre of the bottles containing the mixture to insert the mycelium. The mushrooms are then incubated for a few weeks or months based on the variety. Wright Foods, a division of Aseptia, opened a new food processing plant in August 2012. When small growths take place, they are put through a scratching process. In this process, a machine runs stiff-bristled brushes across them to enable them to grow. The mushrooms are then placed in temperature-controlled refrigerators in long rooms until they reach the right size. The rooms become foggy due to the spores released by the mushrooms. Once ripe, the bottles are passed through a harvest machine which extracts and packs the mushrooms. This ensures that the mushrooms are not contaminated by insects or bacteria. The mushrooms are then packed, inspected by workers, and finally placed on shipping crates. King trumpet mushrooms, however, are very fragile and cannot be processed using machines. These mushrooms are processed by hand. The architect and engineer for the plant were PAL International and Ishii Engineering respectively. R-Cold and VaCom Technologies were also involved with the project.